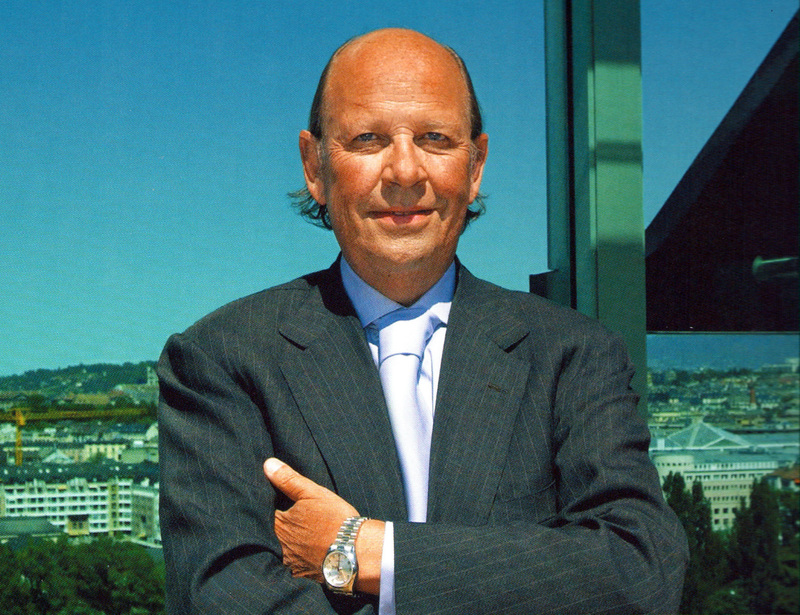 Former Rolex CEO, Patrick Heiniger passed away earlier today in Monaco at age 62. Patrick Heiniger went to law school in Geneva, Switzerland and went on to became an intellectual property attorney in New York and founded his own law firm specializing in intellectual property and international law before. 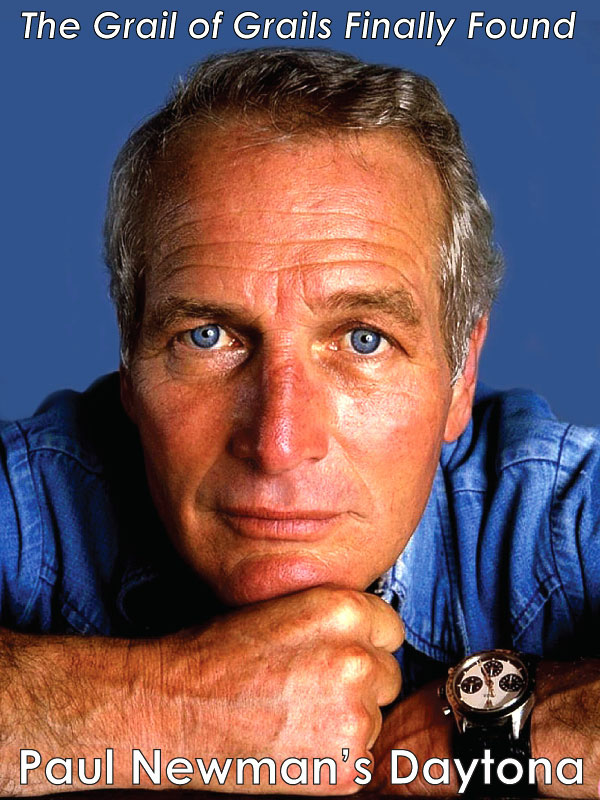 In 1986 he came on-board taking over as the Director of Marketing for Rolex. 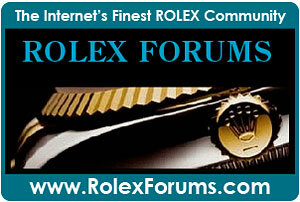 Next, he went on to take over the reins of Rolex from his father, André Heiniger in 1992. 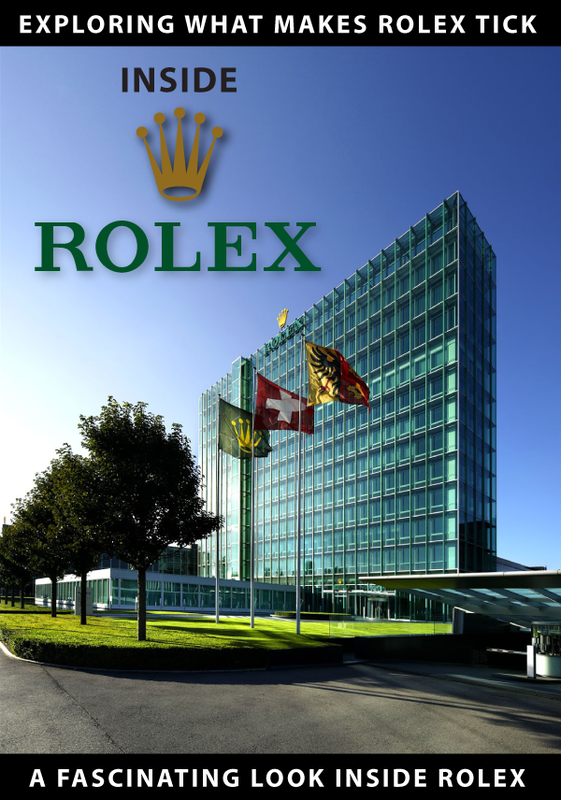 Patrick Heiniger abruptly left Rolex in 2008 for "personal reasons", which were never publicly divulged, but were heavily speculated upon. 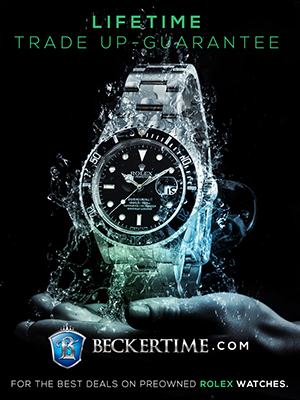 On Jake's Rolex World, I specialize in separating the fact from the fiction, and that is my goal since there was so much speculation on why he stepped down as CEO or Rolex. Patrick Heiniger was a heavy cigarette smoker. From the research I have uncovered, I was told by a highly credible and unofficial source that one day Mr. Heiniger had a very soar throat, and went to the doctor who diagnosed him with throat cancer. 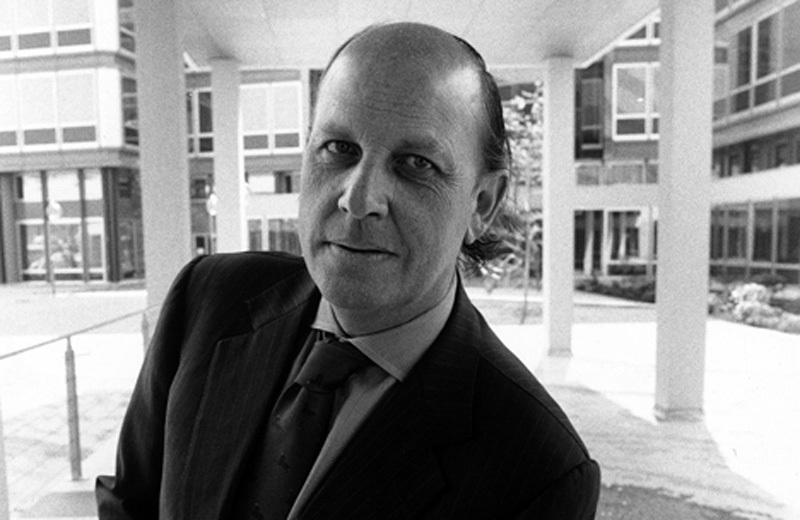 Mr. Heiniger returned to Rolex Headquarters and resigned immediately so he could treat his cancer. 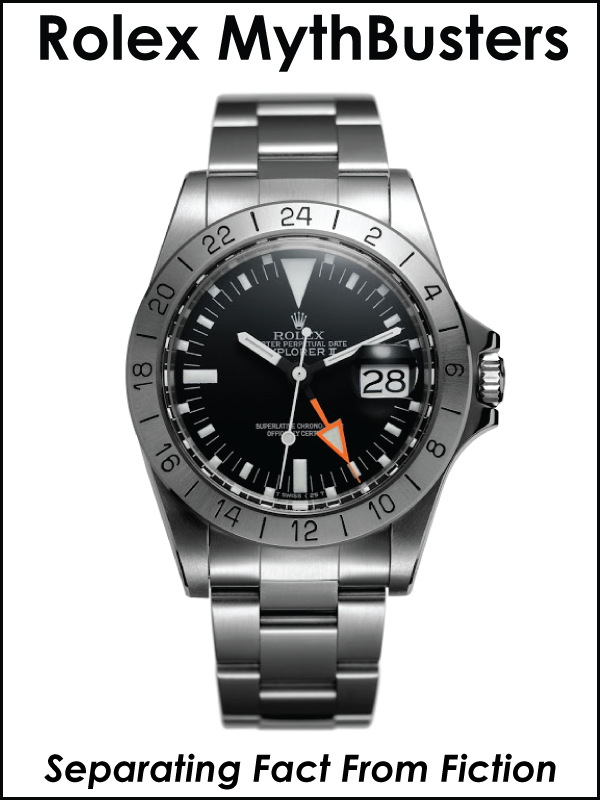 Patrick Heiniger is pictured above–sporting his trademark Platinum Rolex Day-Date. He was born on August 26, 1950 in Beunos Aires, Argentina in South America to André and Odette Heiniger. Patrick's father, André Heiniger ran Rolex South America. 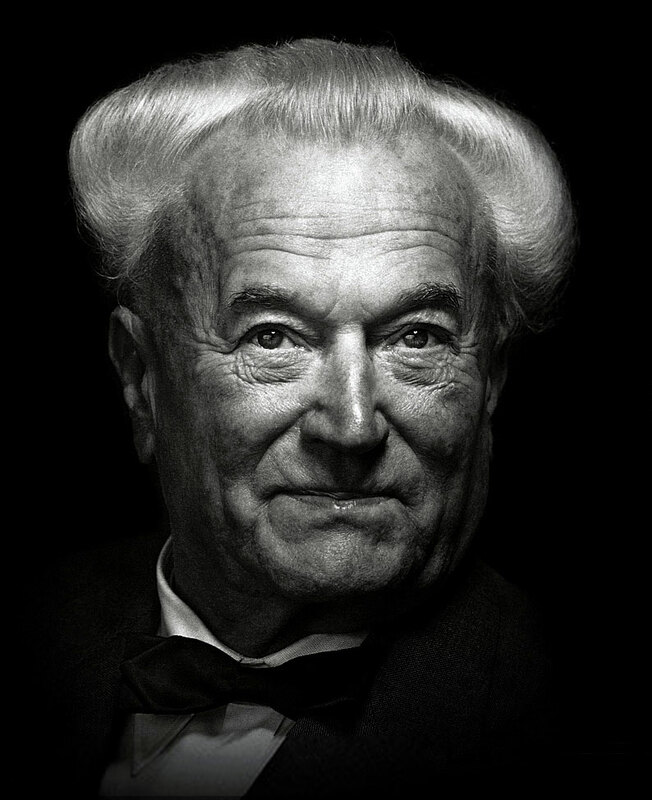 André Heiniger joined Rolex in 1948 and grew to become a close and trusted associate of Rolex Founder, Hans Wilsdorf who is pictured below. Hans Wilsdorf, sent André Heiniger to Buenos Aires, Argentina to develop the South American Rolex market, which he achieved brilliantly. 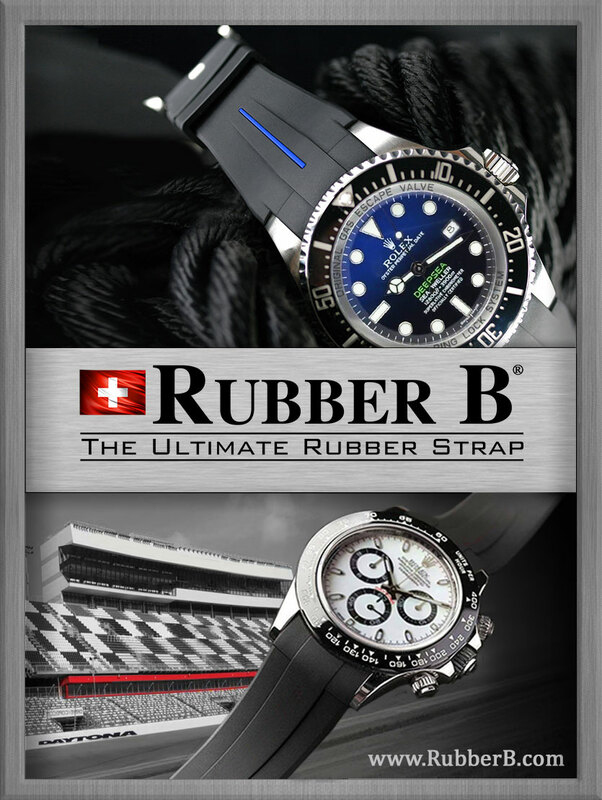 Hans Wilsdorf died in 1960 leaving Rolex leaderless. 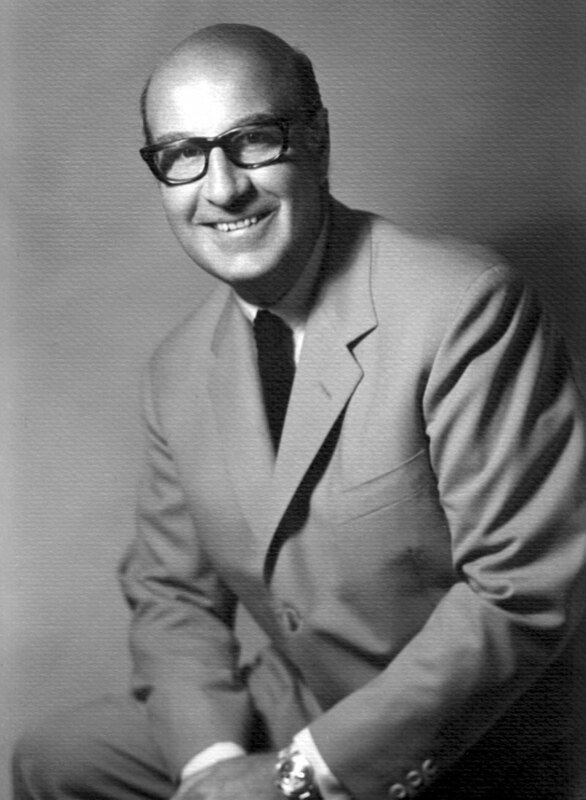 Between 1960 and late 1962, Rene-Paul Jeanneret directed Rolex and in late-1962, early 1963, André Heiniger (pictured below in 1963) was appointed Director General of Rolex, which is the equivalent title of CEO in the United States. 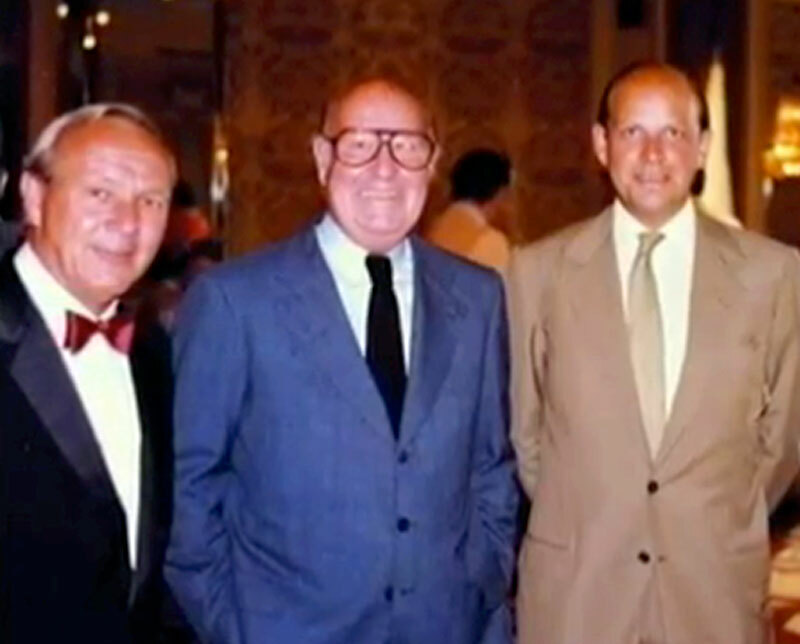 André Heiniger is pictured below, between golf legend and Rolex Ambassador, Arnold Palmer and his son Patrick Heiniger. 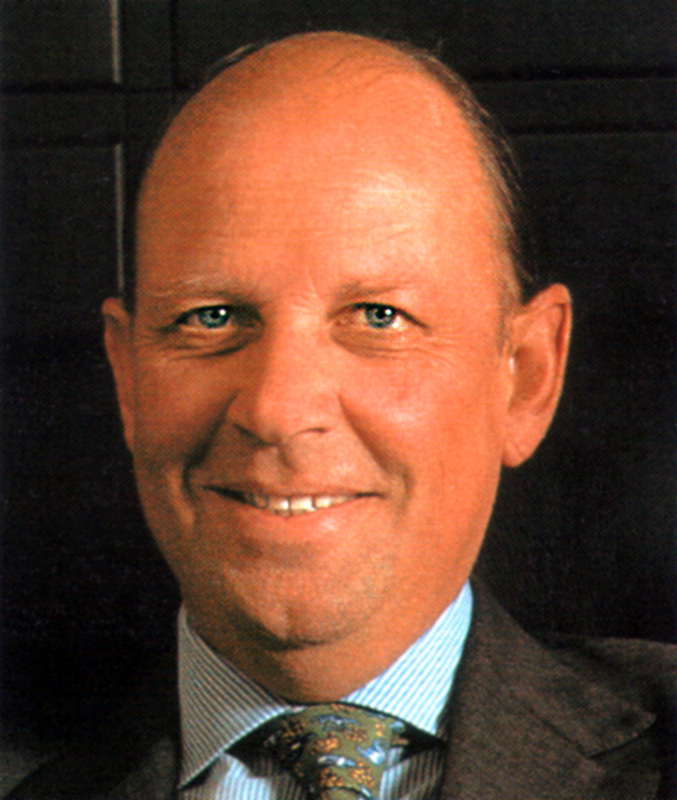 André Heiniger successfully ran Rolex from 1963 to 1992, when he passed the Rolex leadership baton to his heir-apparent son, Patrick Heiniger. 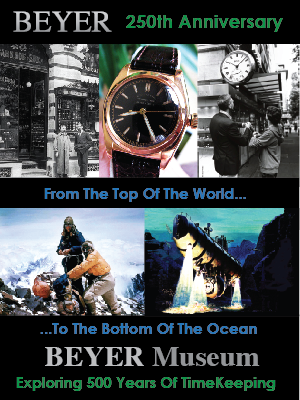 Patrick Heiniger achieved many things as the CEO or Rolex, including the drive to turn Rolex into a completely integrated vertical company, which means he bought up all of Rolex's suppliers to bring all manufacturing in-house. 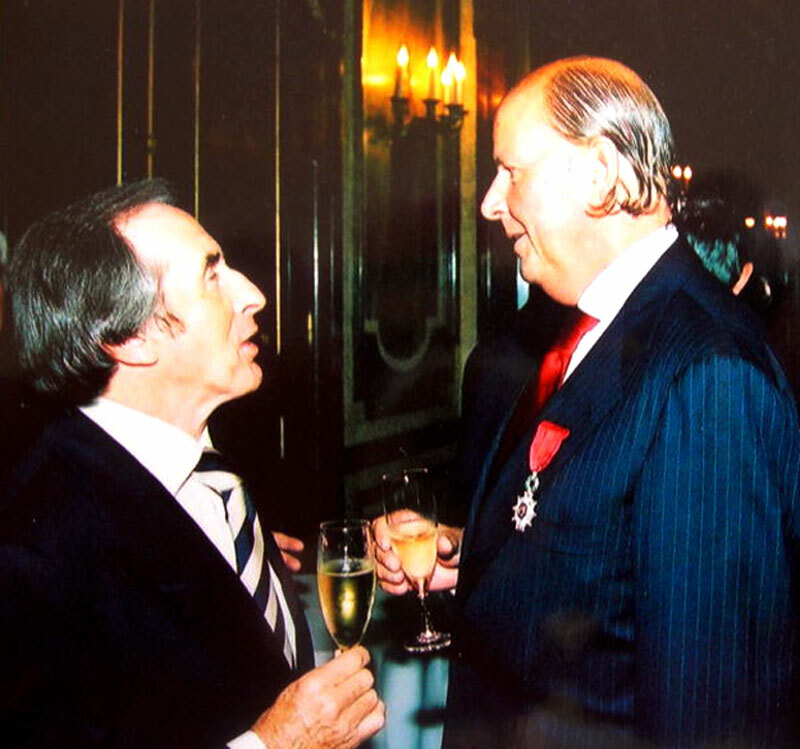 Patrick Heiniger is pictured below with auto racing legend, and long time Rolex Ambassador, Sir Jackie Stewart, at a reception in 2002 after being awarded The Knight of the Legion of Honour by the French Government. 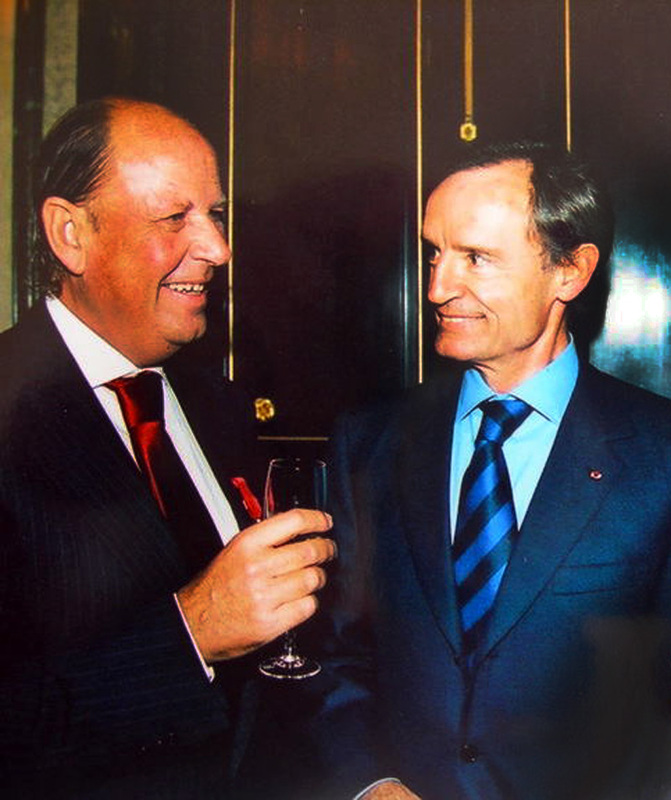 Patrick Heiniger is picture below with Olympic Skiing Superstar and Rolex Board Member, Jean-Claude Killy. 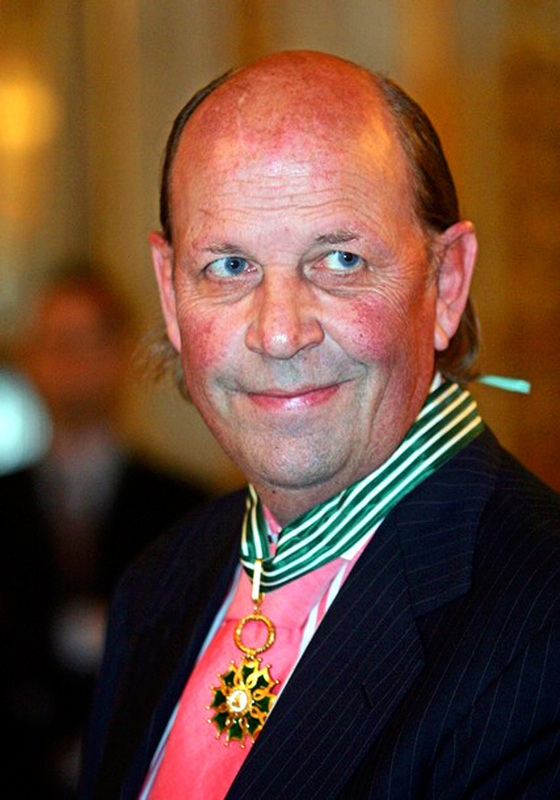 Patrick Heiniger is pictured below when he was the CEO of Rolex, and he is pictured below on 2005 just having been awarded the Commander in The Order of Arts And Letters by the French Government. This next set of six photos appears courtesy of PatrickMcMullan.com. 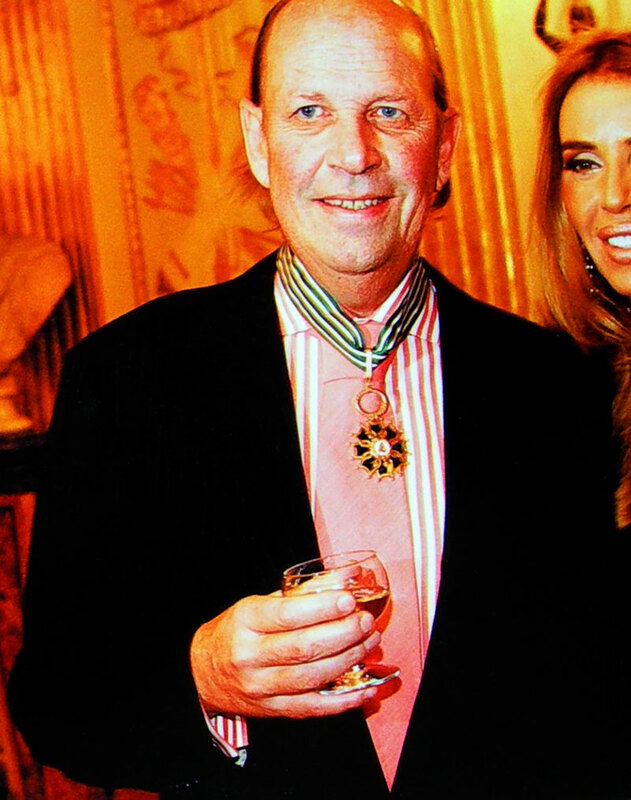 This first image shows Patrick Heiniger with his girlfriend, Nina Stevens on December 5, 2005 at the Rolex Mentor and Protege Arts Initiative Gala. Patrick Heiniger developed the Rolex Mentor and Protégé Arts Initiative in 2002 to help talented young artists realize their potential. This next image shows Patrick Heiniger with Nina Stevens and legendary actress, Joan Collins at the same Rolex Mentor and Protege Arts Initiatve Gala on December 5, 2005. 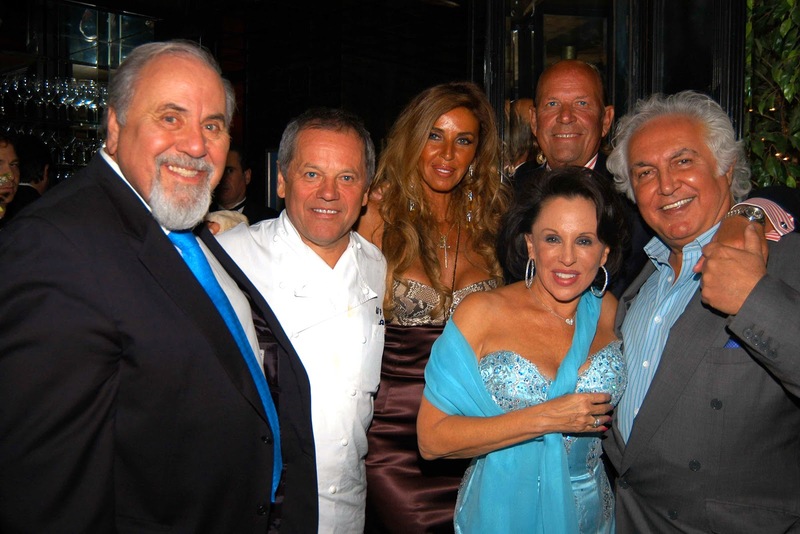 This next image below, shows from left to right, TV producer George Schlatter, Wolfgang Puck, Nina Stevens, Nikki Haskell, Patrick Heiniger, and New York Art Dealer, Tony Shafrazzi. It was taken at the Nikki Haskell Dinner on January 13, 2006. This next image shows Patrick Heiniger with Nina Stevens at the same event as pictured above. Apparently Patrick Heiniger was crazy about Nina and she had a significant impact on his design aesthetic for ladies Rolex watch design direction. It is fascinating to note that both Patrick and Nina are wearing 36MM Rolex Day-Date watch models, with his being a standard Platinum version and hers being a heavily jeweled Yellow-Gold version. 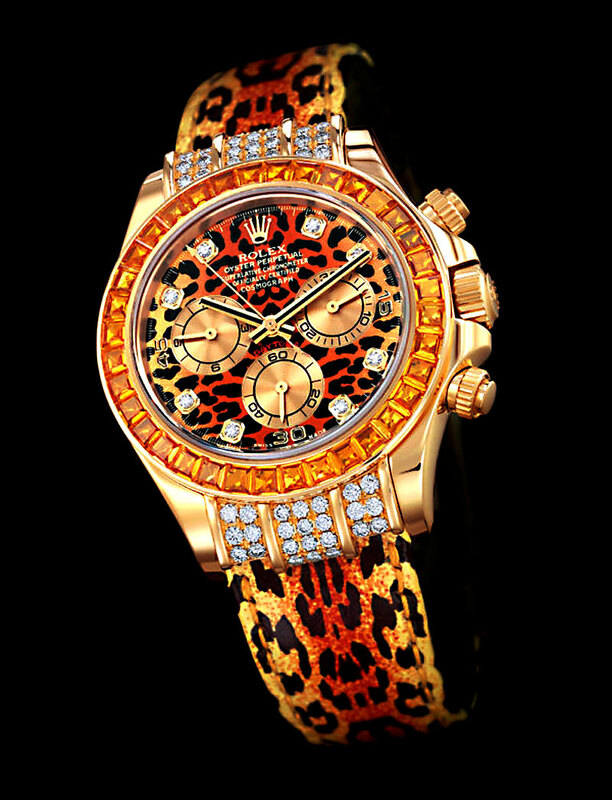 It was rumored that Patrick Heiniger's girlfriend, Nina Stevens was the catalyst and inspiration for some high-fashion Rolex ladies watches, like the Bejeweled Leopard Rolex Daytona pictured below. Nina Stevens and Patrick Heiniger are pictured below with actress, Lynn Redgrave on November 12, 2007 at the Rolex Mentor and Protege Arts Initiative. 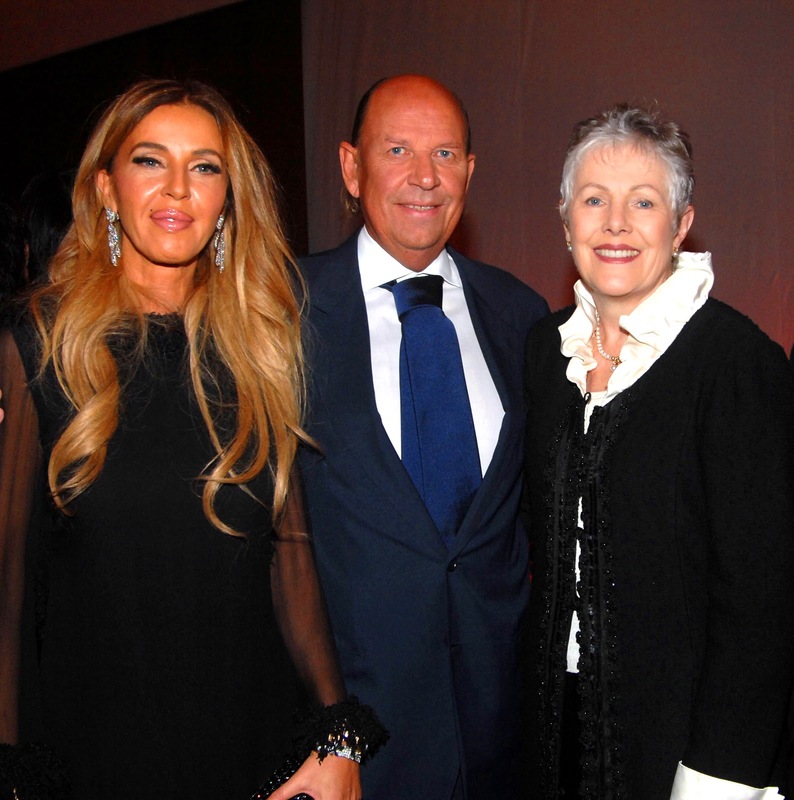 Patrick Heiniger is pictured below in a recent photo with Nina Stevens, and friend, Narcisa Tamborindeguy. This photo was taken less than a year ago, and Patrick Heiniger does not look very healthy in this photo. Patrick Heiniger is survived by his daughter, Alicia Heiniger (pictured below), and his son Sébastien Heiniger. Alicia Heiniger followed in her father and grandfather's footsteps and went to work for Rolex after she graduated from college. 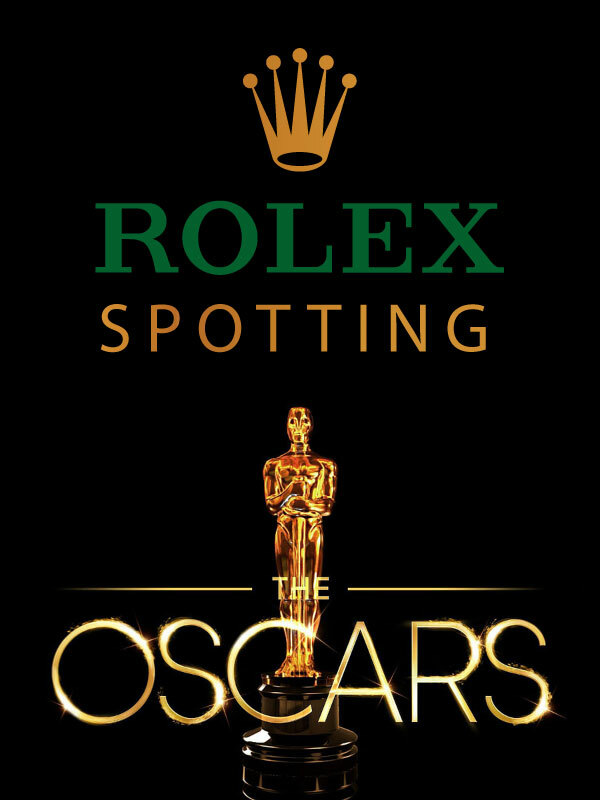 Somebody once asked Rolex CEO, Patrick Heiniger what made him feel the proudest about being the leader of Rolex, to which he answered, "Meeting total strangers who are wearing a Rolex." 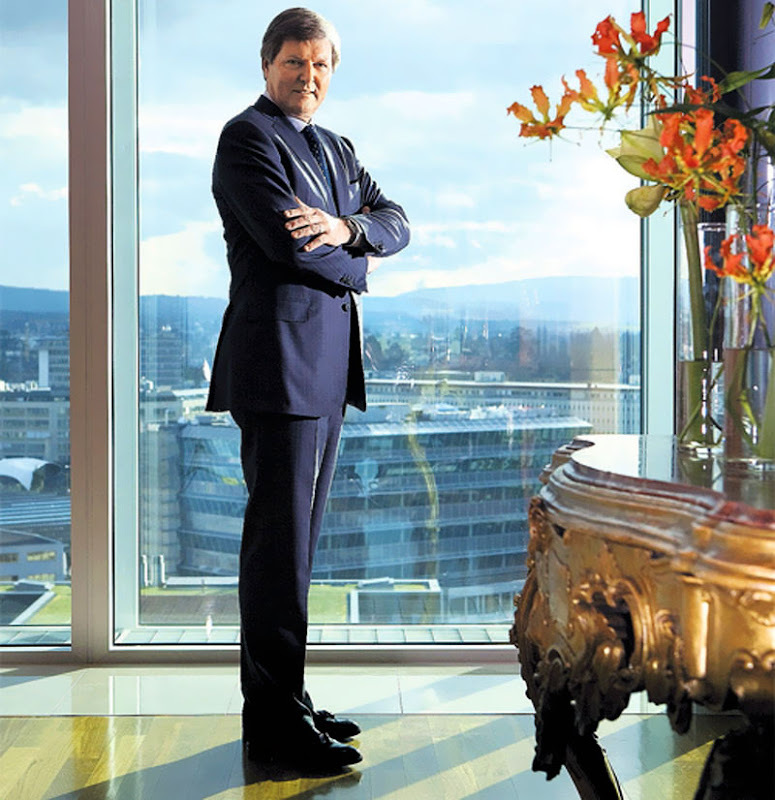 Bruno Meier (pictured above), was a Rolex Board Member and Rolex CFO, that was chosen by the board of the Hans Wilsdorf Foundation to replace Patrick Heiniger in 2008, and served as the CEO of Rolex until May 2011. 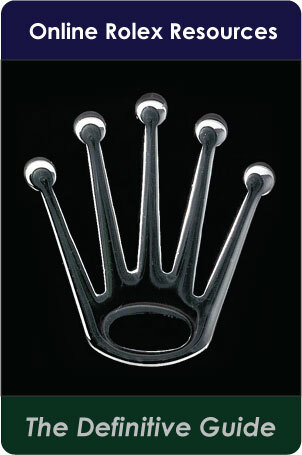 Rolex appointed the head of Rolex Italy, Gian Riccardo Marini, as the new CEO in May 2011. 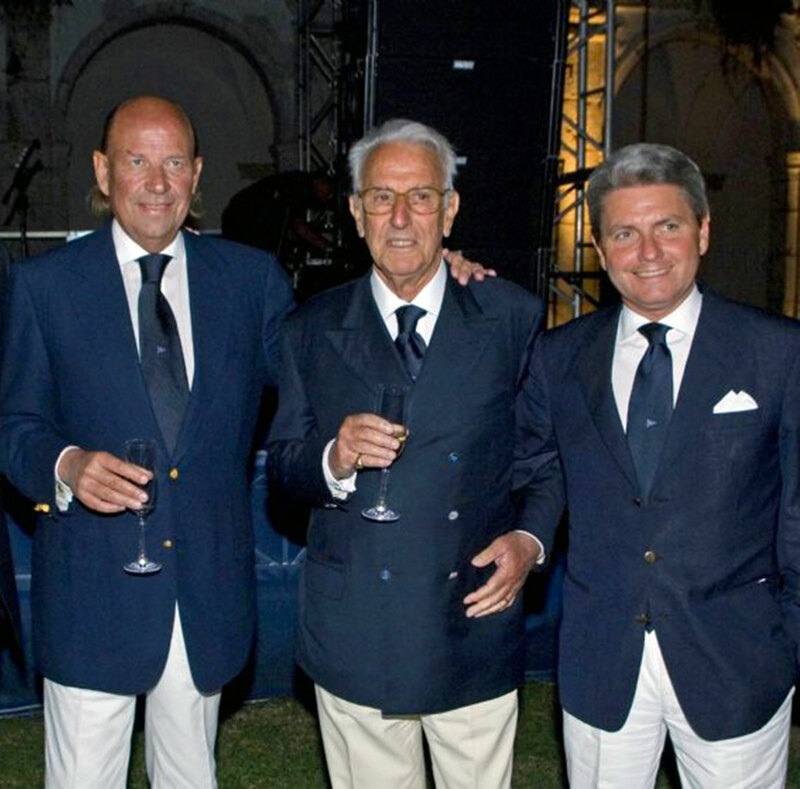 Patrick Heiniger is pictured below in Capri in May 2007 with the now current CEO of Rolex, Gian Riccardo Marini, who is pictured opposite of Heiniger. I believe Patrick Heiniger's early exit from the stage of life surprised and caught many people off-guard. So what is Patrick Heiniger's legacy? 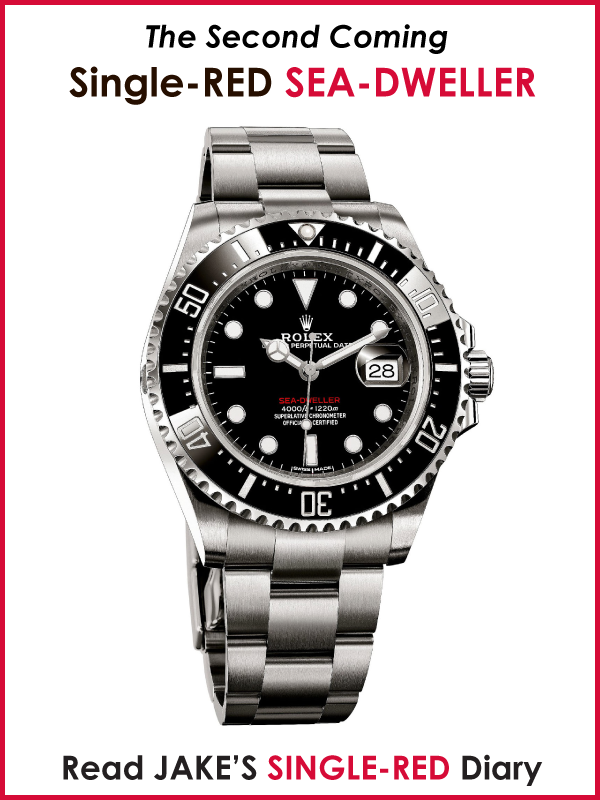 Rolex only developed one new model under his tenure, which was the Yacht-Master. 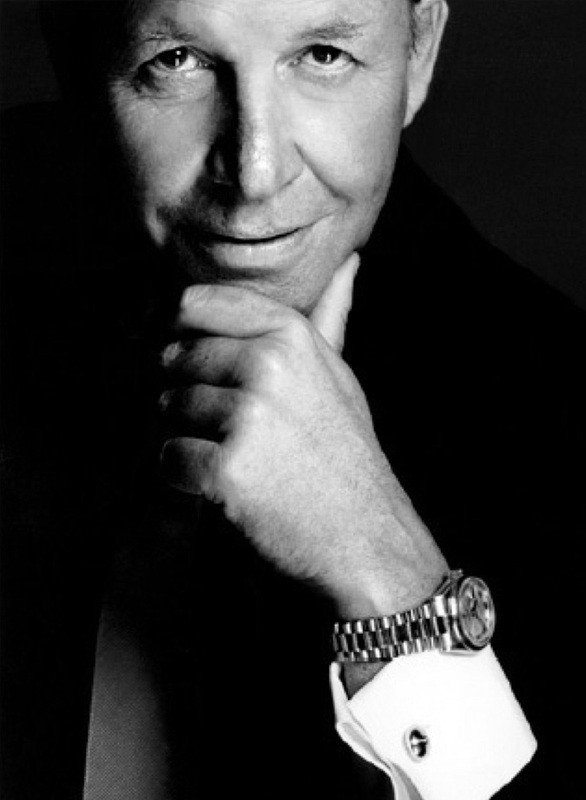 However, during his 16 years tenure from 1992 to 2008, as CEO, he consolidated Rolex's entire business into four super-state-of-the-art facilities, all located in Switzerland, which resulted in superb economies-of-scale and significantly contributed to improving the quality of modern Rolex watches. In the future, I will dive deeper into exploring Patrick Heiniger's legacy. 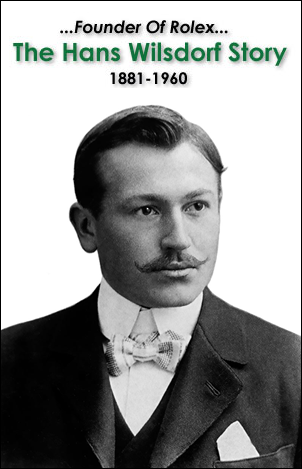 Patrick Heiniger was one of only five men who ran Rolex over more than a century. 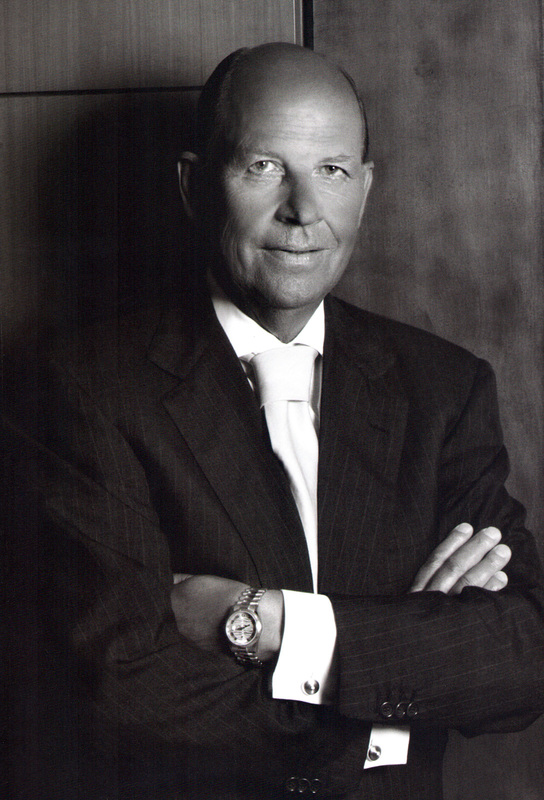 Geneva, 5 March 2013: The Board of Directors and the General Management of Rolex SA express their deep sorrow on the passing of Patrick Heiniger, former Managing Director and Chief Executive Officer of the company, in Monaco after a long illness. They would like to pay tribute to the memory of a man who marked the history of the company when he presided over its destiny from 1992 to 2008, and extend their sincere condolences to his family and friends.